Rate this Article With the implementation of simulated reality technology into our current media, your guess is as good as mine as to where this will take gaming into the future. Nevertheless, a brief discussion of it's current state of development can give us an idea of the direction it will take. The concept of reality is much more complicated than it looks. As we exist in our physical form as so we exist in our physical reality which we define as the 3rd Dimension. However, reality is more than just the 3rd Dimension but for all intents and purposes, we will limit our discussion to the forms of realities which we can immediately grasp. With the help of the meager technology we have today, we have been able to extend the realm of the 3rd Dimension with the use of electronic simulations. We either add to it (Augmented Reality) or Simulate an entirely different reality (Virtual Rea;ity). A third extension would be a cross between these 2 realities which we then label as Mixed Reality or MR.
At today's state of Human Evolution ( And I'm not talking about Deus EX), the reality technologies that we have are far from perfect or stable for the matter. There is still no clear definition of Mixed Reality as it stands so that an approximation of what is in between AR and VR is currently what we have to work with. For that, developers and computer scientist have created a reference spectrum between AR and VR and the level of Mixed Reality will depend on its specific location between the 2. As it stands, MR would either be AR or VR oriented depending on the device used and the simulation it can present to the user. At present, there are 2 commercial devices that can be used to simulate either AR-MR or VR-MR. A Holo-Lens which is normally an AR device can now be modified to add MR to it. Likewise, a VR HMD can now encompass MR as well. The key to mixing reality is the input of the environment or the measuring of the immediate surrounding and the direct implementation to the ongoing simulation at hand. Combined with computer processing and user input, both AR and VR becomes a mixed reality. To elaborate more in detail, a Holo-lens or HMD can be upgraded and fitted with external cameras to take into account the surroundings and immediately use it instead of relying on separate tracking units. Microsoft is spearheading the push into mixed reality by developing an add-on to Windows 10 called the Fall Creator's Update or FCU. The Microsoft Holo-Lens is a portable wearable PC in itself and running Windows 10 with FCU along with built in or added external cameras can simulate immersive and fully interactive AR-MR games where objects and characters are projected onto the immediate real surroundings hologram style and can interact with it directly. A non-player character for example can sit on chairs or stand in hallways and interact with the user as if they are really there. Regardless though of being mixed, AR-MR is still AR in actuality as the simulation is still projected onto that which we define as real. Enter the Acer Windows Mixed Reality Headset also known as a WMR HMD. Again using Windows 10 with FCU, a VR HMD equipped with external built-in or add on cameras can take measurements of the environment, track it and immediately implement onto the ongoing simulation just like the Holo-Lens. The difference however and with reference to the AR to VR spectrum is that the result still very much looks like a VR representation of the immediate surroundings. You are still enclosed in a VR world but you see the place where you are in just the same but projected to you as a simulated environment. Movement is of course limited by the restrictions or borders implemented to avoid unnecessary accidents or unfortunate events. The Holo-Lens is a one piece affair you wear on your head and the Acer WMR HMD is just like a tethered Oculus with external built in cameras. The resolution is a bit higher but it uses LCD optics instead of the usual OLED technology used by the high-end HMD's. 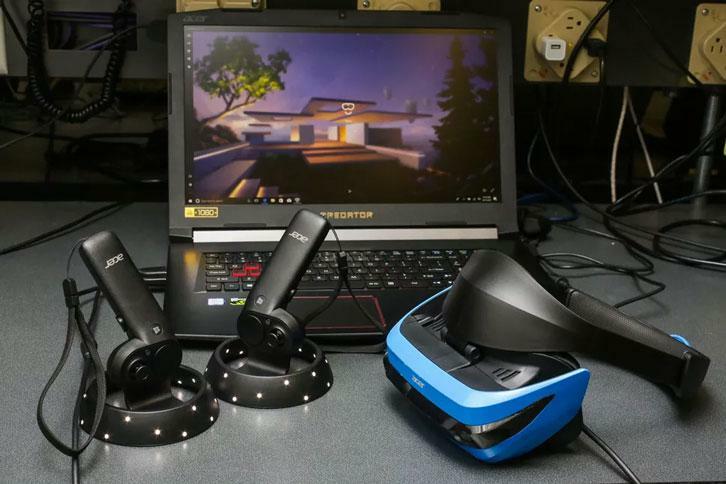 A game running in a WMR HMD would look very different to that running on a Holo-Lens though they both are considered as Mixed Reality games. 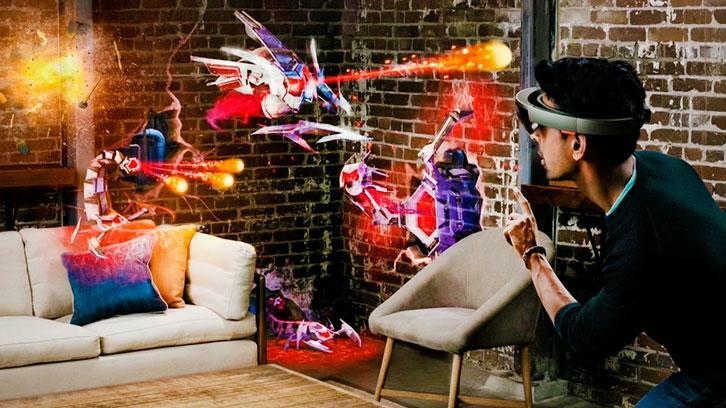 With these factors in mind, we can then draw a sort of educated estimate as with the future of gaming with Mixed Reality technology. As we can see, the AR-VR field is starting to evolve into a single device that can switch between AR-MR-VR. Likewise, gaming will evolve to fit both AR-MR and VR-MR reality models and will revolve around the immediate environment. For now, as users and gamers, we can only wait and try out for ourselves the upgrades and development in gaming using the current simulated reality technologies at hand.